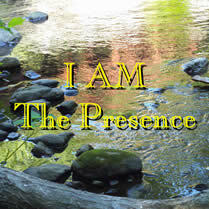 Delicately woven through the Tapestry of each song are the Subtle Vibrations of your "I AM" Presence. As you listen, the Energies within each song, Uplift and Empower you with the Presence of "I AM"
An Introduction to "The Ascension"
Reiki is a healing modality that has its origins in Tibet, while the modern version is of Japanese descent. It is a gentle, non-invasive way of releasing those old hurts, pains and disappointments that underlie our physical and emotional ills. It accomplishes this by gently soothing those areas of blocked, nonmoving energy so that proper flow can be reestablished. When combined with Shamanic and Empathic Healing the benefits of Reiki are dramatically increased. What is Shamanic and Empathic Healing? The uniqueness of this approach is underscored by a basic principle of physics, i.e., areas of lower frequency must rise in vibration when an energy of higher frequency is introduced. Regardless of the affliction and/or emotion the doubt, fear, issue, trauma or physical malady, when the combined energies of Reiki and Shamanism are brought into the area or issue of concern with empathy, the higher frequencies of these combined energies cause the lower frequencies to give way - quickening the release of the concern. Additionally, the methods employed in this practice focus more on the emotion and less on the story further helping to raise frequency more quickly and effectively - causing the bonds that hold those lower energies in place to be cleared. Emotional issues, trauma's and/or ailments which reduce our quality of life can be released very quickly - sometimes in as little as one session, regardless whether the event was recent or from many years ago. How can this be? The reason was alluded too above. When dealing with emotional issues and/or trauma as an example, its often assumed by the client that its necessary to talk about everything that is causing them concern. The process of talking is helpful but it is often just a mental exercise. Once an intellectual understanding of why we do or feel the way we do is achieved, the road to releasing that issue/trauma is through the emotions. In my experience the most effective way to release the issues/fears/trauma's etc., we are discussing here is to move out of the head and into the body. The mind is very powerful and even if we don’t think so, we often hold onto these fears and issues subconsciously. Bypassing the mind and working directly with where the emotion manifests in the body, helps to get the mind out of the way creating a connection between the body and the spirit. In utilizing this approach and in conjunction with higher energies, issues often release in accelerated fashion. This is just a small listing of the many concerns that can be assisted through this approach - Anxiety, Asthma, Back Pain, Bereavement, Cancer, Carpal Tunnel Syndrome, Chronic Pain, Emotional Depression, Emotional Trauma, Grief, Emotional Loss, Indigestion, Insomnia, Irritable Bowel Syndrome, Knee Pain, Menstrual Cramps, Muscular Aches, Nausea, Panic Attacks, Post Surgical Trauma, TMJ, Toothaches and many other conditions too numerous too list. A greater sense of ease, peacefulness and self confidence. A feeling as if everything is ok and a greater sense of I can handle it. It’s interesting to note that many of our deepest fears and traumas center around concerns of self acceptance and self confidence. Its one of the primary reasons I wrote “The Power is You! - A Guide to Self Empowerment”. Another benefit of this process is that each and every session builds upon the previous session. You do not need to work for months at a time before seeing progress; rather, you will see forward movement with each and every session. Achieve your Goals and Live your Dreams! What if you had the key that unlocks the treasure chest of all your dreams and desires? Gary M. Spolansky, MBA is proud to offer a new service called "Keymaster Empowerment Coaching" for those who wish to create positive change in their lives. "The Power is You! - A Guide to Self Empowerment"
and in these sessions, draws on his many years of experience helping people to replace the doubts, fears and uncertainties that keep them from creating the life they desire, with positive and effective strategies for achieving their dreams. Through careful listening and working with your specific situation and talents, Gary will show you effective ways to move past the habits and disempowering actions that keep you from creating the life you desire. His unique approach is uplifting and inspiring, giving you new ways to feel more empowered, enabling you to more effectively achieve your goals. Are you looking for a raise at work? A new home? How about finding that true love that always seems to elude you? Whether your focus is personal or family relationships, financial, business, spiritual or other areas, the benefits of the Keymaster Empowerment Coaching System are limitless. By utilizing the tools, techniques and concepts discussed in "The Power is You" in conjunction with Gary's many years of experience, you can achieve your goals and create the life you've always desired. Each session is a full hour and can be conducted by phone or in person as fits your schedule. Give yourself the opportunity to achieve what you want in life, Now! Join Our Mailing List for Free Updates on Special Events/Classes and Workshops. Your Trust is Important to Us. We will Never Rent or Sell your Personal Information. The joy of this method of healing is that anyone can learn it regardless if you are 3 or 93. You don’t need any prior experience, special ability or to be gifted in any way. When you complete this class you will be able to work with this energy. Just as importantly, once you’re attuned to Reiki you will always be attuned to it. It will always be there for you whenever you need it. By taking this workshop you'll enhance your spiritual growth, strengthen your physical and emotional health, while receiving benefits that will last a lifetime! The Reiki Center's purpose is to promote an optimistic viewpoint of life while coping with the experiences of everyday living. Sometimes its not easy and we tend to lose sight of what really matters. Our intention is to keep steadily focused on the vast potential each of us has to make our own unique contributions to the world. All it really takes is changing our thoughts, ideas and/or expectations from the negative to the positive, one at a time. As our thoughts and the choices those thoughts create change so too, do our lives. The services, articles and products presented on this website are offered to you and by extention humanity, to assist us all as we evolve a greater capacity for love and acceptance of ourselves and each other.